California might not come to mind as a place with many castles, but The Golden State offers some beautiful, stately buildings that resemble castles and/or include "castle" in their names. 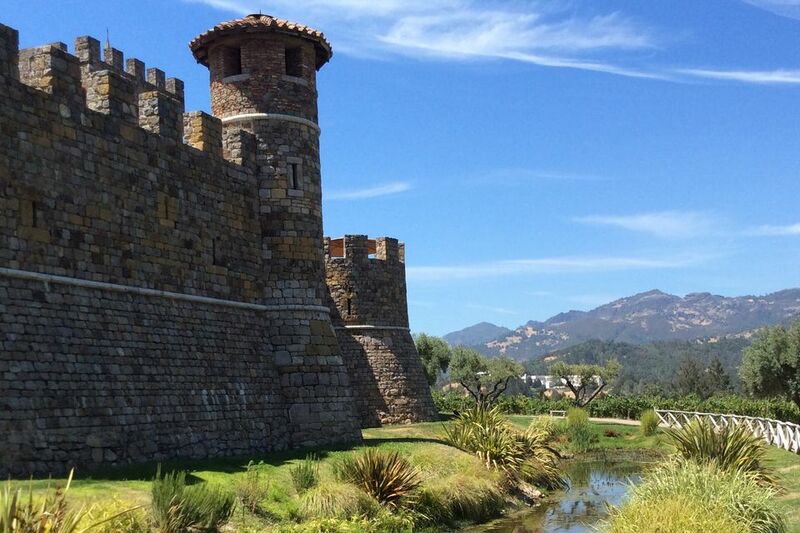 Castello di Amorosa, in Napa Valley, was created by winemaker Dario Sattui. It’s a meticulously recreated medieval Italian castle. Although his original intent was modest, the result is not. Sattui’s castle covers 121,000 square feet. It has 107 rooms with four separate levels underground and four levels above. This castle really does feel like a real castle in Italy. It has a moat and a drawbridge, high walls, and towers. In the center is a courtyard. There’s a church, stables and there’s even a torture chamber in the dungeon. Castello makes some pretty nice wines, too. And they throw the best parties in all of wine country. At his peak, newspaper publisher William Randolph Hearst was worth was $30 billion. In modern dollars, that would put him atop the list of the world’s richest people, with about 6 times more money than his nearest rival. It’s no wonder he could build an enormous house in a remote location, engage one of the era’s most sought-after architects and fill it with art treasures gathered from Europe. Hearst told architect Julia Morgan he wanted to build a “little something,” on the hill, but by the time he was done, it was far from little. Hearst Castle sprawls over 68,500 square feet and contains 38 bedrooms. Like a proper castle, it’s set on a hilltop. But instead of a moat, it has swimming pools, two of them: The outdoor Neptune Pool (345,000 gallons) and the indoor Roman Pool (205,000 gallons). Fortunately for those of us who can only gawk at what a really rich man can create, the castle is now a California state park and open to visitors. If it were anywhere else but Death Valley, this castle would probably have a different name. In fact, the biggest thing in the story of this desert oasis is the personality of Death Valley Scotty. What’s even more curious is that Scotty didn’t even own the place, he just talked his friend Albert Mussey Johnson into building it. In the middle of the hottest place on Planet Earth. According to the National Park Service’s history of the place, this is what Death Valley Scotty had to say about it: “The Hall of Fame is going up. We're building a Castle that will last at least a thousand years. As long as there are men on earth, likely, these walls will stand here." So far, Scotty was right. You can tour Scotty’s Castle and find out more about its story when you visit Death Valley. 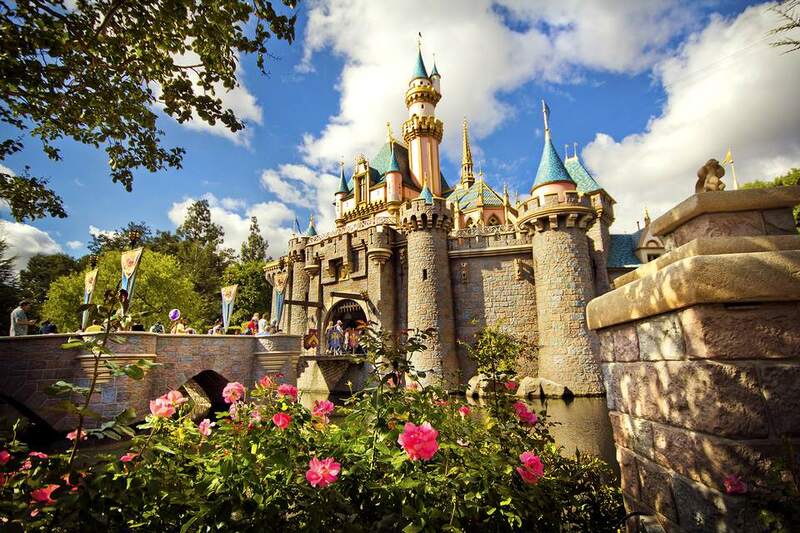 This castle at Disneyland might have been even grander, but Walt Disney worried that anything larger would overwhelm his guests. Sleeping Beauty’s Castle is based on Neuschwanstein Castle in Bavaria, Germany which was built in the late 1800s. It’s only 77 feet (23 m) tall, but it looks bigger. Things get progressively smaller than they should all the way up to the turrets, making you think they’re further away. This castle has a moat and a drawbridge. The bridge has been lowered only twice: On opening day in 1955, and again to unveil newly remodeled Fantasyland in 1983. And there's a hidden attraction inside it. The Disney family coat of arms is above the castle entrance. It looks more like a Victorian-style house than a typical “castle,” and frankly, the magic is the big deal here, not the building it sits in. The Magic Castle, located in Los Angeles, is first and foremost a private club for card-carrying magicians. If you can swing an invitation - or if you stay at the nearby Magic Castle Hotel, you can enjoy dinner and a magic show. What do you do after an earthquake in San Francisco? If you’re attorney Henry Harrison McCloskey in 1906, you build a castle in nearby Pacifica. McCloskey wanted a home that was earthquake resistant and fireproof. Architect Charles MacDougal designed a gray stone structure with details that resembled a stereotypical castle. So why is it called Sam’s Castle? In 1959, Sam Mazza bought the house, which was showing serious signs of decay. A painting and interior decorating contractor, he restored it and filled it an eclectic collection of objects d’art. Some might call them “kitschy.” Oddly, Sam never lived there, but he did use it for parties. Since Mazza’s death, the castle is run by the Sam Mazza Foundation and is open for tours.